An important part of our mission is to provide reconstructive surgical care for poor children and adults in developing nations. But just as important as the initial surgery is the follow-up to make sure all went well. Last summer, a ReSurge team went to Vietnam to visit scores of former patients. We wanted to make sure they were healing properly and schedule any follow-up surgeries as necessary. The team lead was Dr. Gloria Sue, the Donald R. Laub fellow and a fourth-year plastic surgery resident at Stanford University. She and Resurge Vietnam manager Hong Han Thu helped organize group visits in Quy Nhon and Quang Ngai. On the trip, one child in particular caught our eye. Every time the ReSurge team walked around to take pictures, she’d find her way into the shot and give us a smile. She’d tap us on our shoulders, and when we turned and caught her eye, she’d squeal and duck behind her mother. Then she’d poke her head out and smile shyly, in a simple game of hide-and-seek. Her sweet nature was all the more remarkable given her family’s history. Thi is a 6-year-old from a remote mountainous area in Vinh Thanh District, about three hours from Quy Nhon. Her father, a rice farmer, would spend his daily wages on alcohol, leaving the family to beg for food, her mother told us. Two of her three siblings also died in a well a few years ago. Thi herself was born with a nickel-size hole in her palate. She couldn’t speak and she couldn’t eat, not even soft food. All she could have was milk and water. When she was 3, ReSurge operated on her cleft. The surgery went so well that she’s been able to take solid food since then. Her speech development was delayed but she’s been working hard to catch up to her classmates. To test Thi’s speech, Dr. Sue had her count to ten in Vietnamese. She did so, slowly at first and then with confidence. When she finished, she looked around proudly. The ReSurge team all laughed, and Dr. Sue decided to teach her how to count to ten in English. Thi listened closely, her brow furrowed in concentration. After Dr. Sue got to ten, Thi scampered away. Minutes later she came back to show us how well she had learned. She counted to 10 in perfect English, holding up her fingers for emphasis. The team applauded her and gave her high-fives. But then she surprised everyone, including her mother. She looked Dr. Sue in the eye, held up one finger and said, “Mot,” the Vietnamese word for one. Dr. Sue repeated the word. Then Thi continued in the role of teacher, with hai (two), ba (three) and so on. Dr. Sue proved to be just as good a student as Thi had been. After they both said moui (ten), they exchanged a long hug and one last high-five. Those are the sorts of the encounters that stay with us – the little gestures that mean so much. 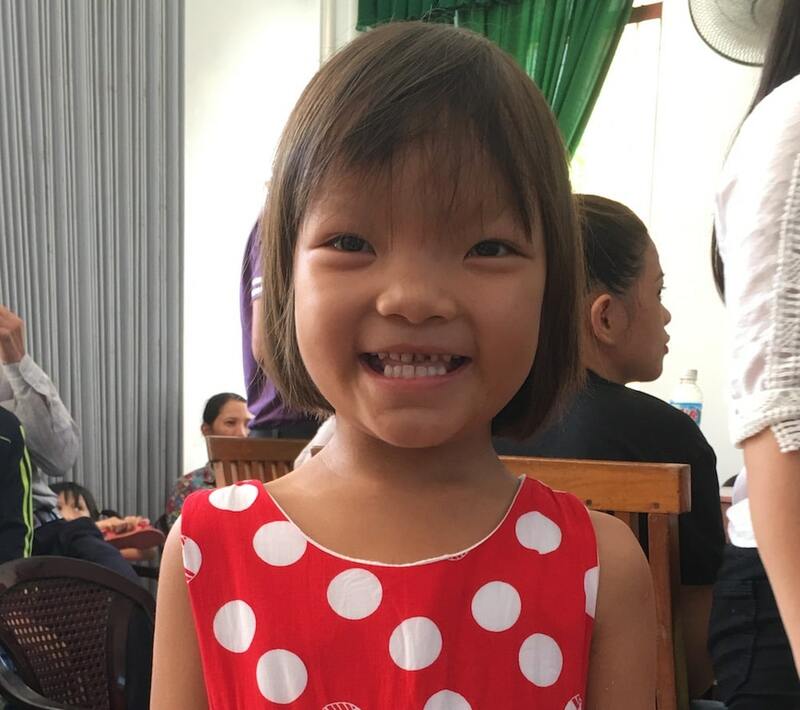 ReSurge is excited to go back to Vietnam very soon to help other children like Thi.